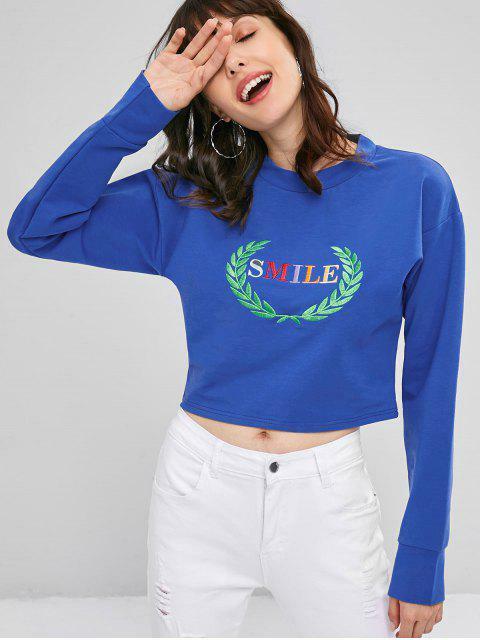 [49% OFF] 2019 Smile Graphic Leaves Embroidered Sweatshirt In BLUEBERRY BLUE | ZAFUL ..
Now, it is the cropped time for the sweatshirt, just like this cropped sweatshirt. Designed with a lettering 'smile' embroidery that is surrounded by the green leaves embroidered design, it looks cool and delicate for you. Just Layer it over any casual outfit to add a whimsical touch.